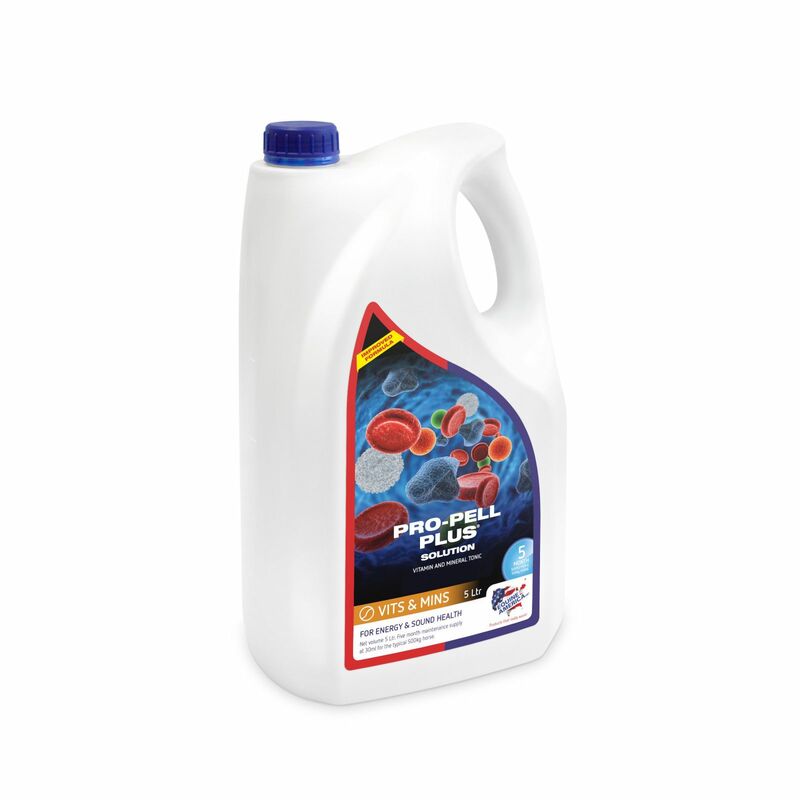 New, improved formulation – with an energy dense glucose-fructose complex to ensure Pro-Pell plus is appetising and palatable when horses need a pick-me-up! High levels of work, and an intense competition programme can leave some horses feeling fatigued and a little “flat”. This can also occur when horses are recovering from an illness and struggling to return to their original workload. High levels of B vitamins : for energy production and appetite stimulation. Bio-available trace minerals: key trace elements important in muscle function and blood building are supplied attached to amino acids or peptides to ensure optimum absorption, including copper, manganese, zinc and a controlled level of iron. Antioxidants: Vitamin E and selenium are important antioxidant micronutrients to help protect muscles cell membranes from oxidative damage which occurs naturally during work. Pro-Pell Plus can be safely fed at the recommended levels in conjunction with most typical feed regimes when horses need that little extra boost! An extra measure may be offered pre-competition – see feeding directions on label.